God and the Angels want you to be prosperous. They know it’s your divine right as a child of God to receive abundance on every level. When you experience abundance, you feel an overflowing fullness or you have great plenty of what you need and desire. This can encompass love, fulfilling relationships, meaningful work, and yes, financial abundance. When you experience prosperity you are thriving, successful, and you have financial well-being and good fortune. Get ready to invoke the angels of prosperity and abundance into your life so you receive all these gifts and more. Are you ready to receive and enjoy? The angels will remind you that the meaning of abundance is about living in the fullness and richness of life and experiencing the abundance of life’s gifts — love, joy, happiness, peace, fulfillment, and prosperity. The angels know that one of the biggest blocks to receiving abundance is if you have the core issue of feeling unworthy and undeserving of receiving the best in your life. If this resonates with you, ask the angels to open your heart so you can heal this issue. Abundance is your natural birthright and when you decide to accept it for yourself, you attract the gifts of abundance into your life. Another issue you might struggle with is the old belief that if you receive abundance and you have a great plenty, then it’s selfish. In truth, having abundance provides you with the opportunity to share with others. You can teach others how to receive it for themselves when you’ve learned how to accept it for yourself. Once you understand the principles of abundance you learn to accept it with grace, and as you do, you open the channels for it to flow easily into your life. The angels know that everyone deserves the gifts of abundance, including you. So say yes and welcome these gifts into your life. The meaning of prosperity is more specific than the diverseness of abundance. Prosperity is more about being successful and flourishing and thriving in financial respects. When people are prosperous in their businesses or careers, they experience a feeling of success and fulfillment and they are financially rewarded for their efforts. On a personal level, when you experience prosperity all your financial needs and desires are taken care of: your bills are paid, you have financial security, and you can enjoy the comforts of life. 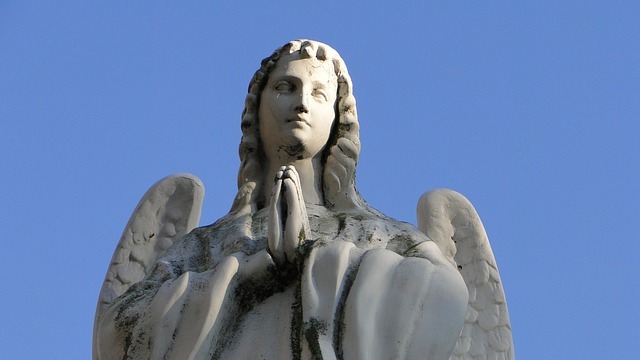 The angels witness your pain, worry, and stress when you go through financial difficulties. Trust that they know when you’re unfulfilled in your work or career. They also understand when you’re feeling stuck and you don’t know what to do. During these challenging times the angels want to help you turn your life around so you can experience the gifts of prosperity. They know you deserve ease, peace, and joy. When you ask, they will provide you with the opportunities to create financial security and abundance. Do I really believe in abundance and prosperity and can I believe there is more than enough? Do I really believe that God will provide me the opportunities to experience an abundance of love, happiness, joy, fulfillment, and prosperity? Am I worthy and deserving of receiving abundance and prosperity? Do I believe I can change my situation now? If you cannot answer yes to these questions, then you need to change your thoughts about abundance and prosperity. Remember, your thoughts create your reality. So in order for you to receive what you want, you need to believe and affirm that it’s possible. As you do this, you naturally attract and magnetize to you the opportunities to create and experience the manifestations of abundance and prosperity. If you are challenged with recognizing your limiting beliefs or thoughts, ask the angels to help you. Ask them to help you heal and transform anything blocking your flow of abundance and prosperity and trust that they will. I am worthy and deserving and I accept abundance and prosperity into my life now! I believe that there is more than enough in God’s universe. God loves me and takes care of me and I am grateful that all my needs are met and more. The angels continuously show me the endless opportunities to experience abundance and prosperity. The channels of abundance are open now and the gifts of love, fulfillment, joy, happiness, and prosperity flow easily into my life. An abundance of money and wealth flows consistently into my life. I am blessed with the riches of life and I love to share with others. You can use these affirmations or you can choose to create your own. Repeat them daily until you know them as your new truth. As you transform your belief system and you focus on what you desire, you open the gates of manifestation so that the angels can help you. Together you create opportunities, attracting everything you need so you can experience the gifts of abundance and prosperity. When you transform your old beliefs into positive intentions, you set things into motion. You have initiated a powerful energy where the angels can help you cocreate and manifest your new desires. Your next step is to ask the angels for what you need and then trust they are working behind the scenes to help you. The angels can connect you with the people you need to meet. Examples: clients, customers, boss, investor, referrals. 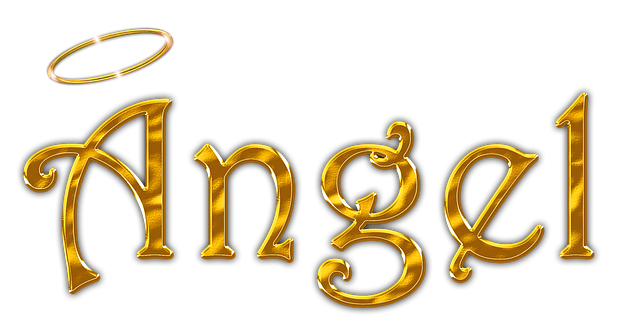 The angels can provide you with the resources you need to fulfill your desires. Examples: financing, time, supplies, education, location. The angels can present you with unexpected opportunities that will allow you to manifest prosperity. Examples: a new job, funding or money showing up, a learning opportunity to create future abundance, an investment opportunity. The angels can provide you with the people who can help you. Example: accountant, financial adviser, teacher, counselor, or any expert you need to accomplish your desire. These are just some of the examples of how the angels can help you create more abundance and prosperity. 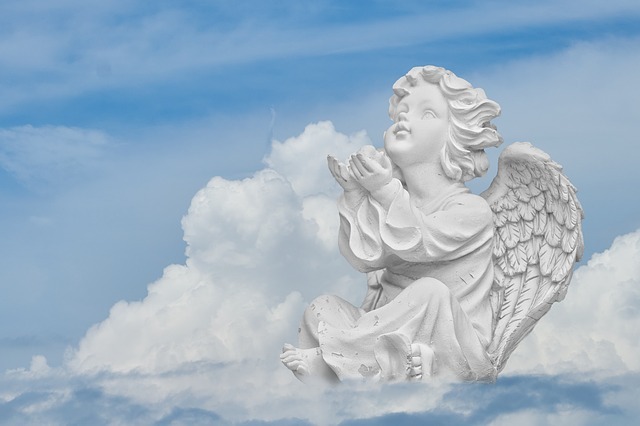 Think about your own personal life and ask yourself, “How can the angels help me with what I need right now?” Share your desires with the angels and imagine what it would feel like to have a team working behind the scenes helping you along your journey. Your choice is to struggle in it alone or call on the support of the angels so you can experience grace and ease in your life. Which do you choose? 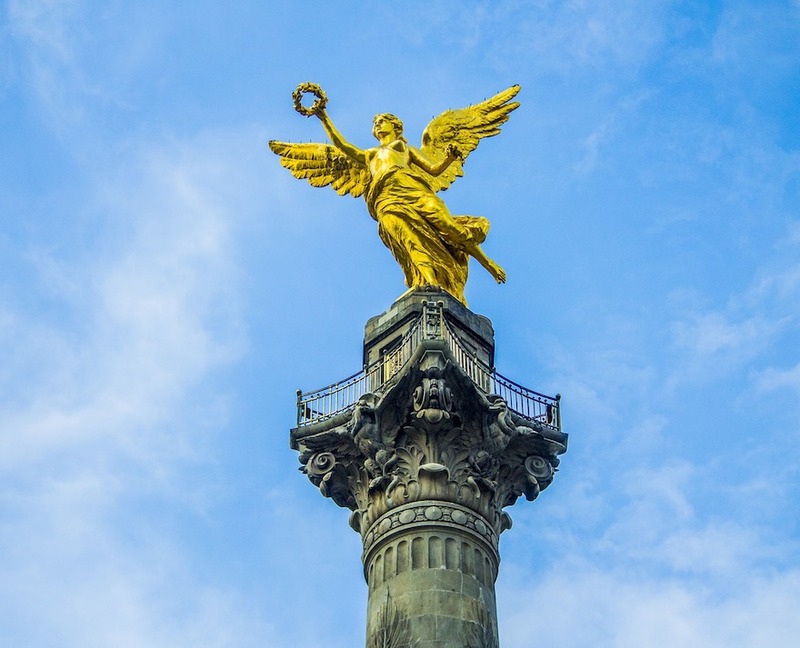 The following angels and archangels have the pleasure of assisting you in any way they can so you can experience more prosperity and abundance in your life. When you ask, they will gift you with unexpected blessings. They will provide you with the opportunities you need to attract and create more prosperity. 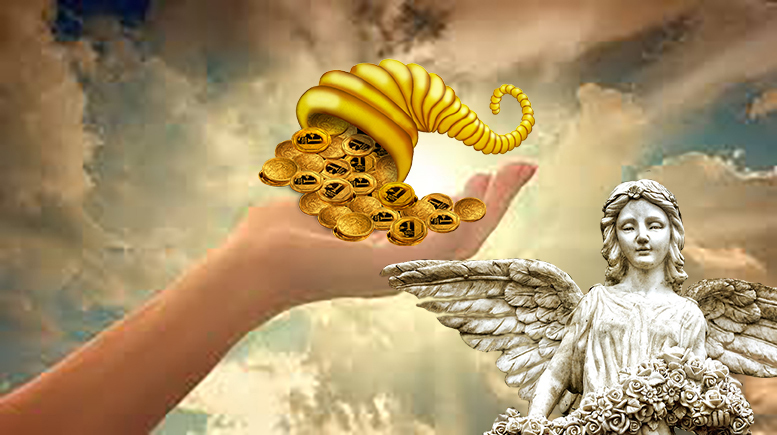 These angels want you to be financially abundant and successful. Archangel Raziel’s name means “secret of God.” They say he stands by the throne of God and records everything He says and discusses. Supposedly, Raziel wrote all this information down in the well-known book called the Book of the Angel Raziel. From this wisdom he knows all the mysteries of the universe. So when you invoke his help, he will use his divine magic to help you manifest the abundance and prosperity you are seeking. Gadiel’s name means “God is my wealth.” He is known as one of the holiest of angels and his name has great power. To enhance this power, say his name repeatedly when asking for assistance. Gadiel will show you the best direction to take in your life so you can create abundance. If you ask, he will release you from any negativity that blocks your ability to create abundance in your life. Gadiel, Gadiel, Gadiel, please assist me in my life right now. Release me from any conscious or unconscious blocks I have about being abundant and prosperous. Help me know that I am worthy and deserving of the best. Give me the clarity I need and the direction to take so I may follow and walk the path that will lead me to abundance and prosperity. 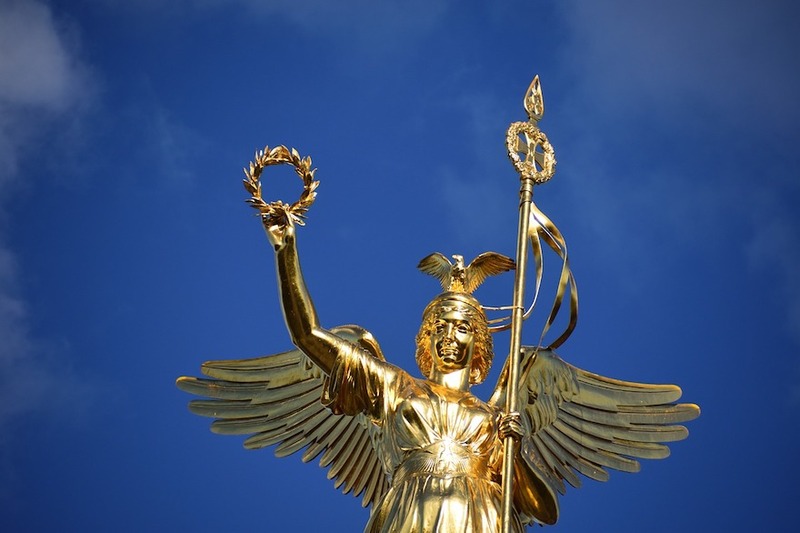 Barakiel is an ancient angel and he is the ruler of the order of the Seraphim. His name means “God’s blessing.” He is the angel of good fortune and he will assist you in opening your heart so you can receive the gifts of abundance. He will also help you keep a positive outlook and encourage you to expect abundance in your life. Barakiel, open my heart so I can receive the blessings and good fortune that await me. It’s here and it’s now and I am inviting these gifts of abundance into my life. Help me stay positive so I can be a magnet of attraction, drawing everything into my life so I can experience my heart’s desires. Gamaliel’s name means “recompense of God.” He is known as one of the most generous angels and is referred to as the gracious gift giver. He is a very powerful angel and he will help you create heaven on earth. Expect unexpected gifts and miracles from Gamaliel. He is here to serve you and help you create more money, joy, and happiness. Pathiel’s name means “the opener.” He is the one to call on if you want to open the gates of manifestation to create abundance and prosperity. Write a request and ask Pathiel for your wishes and desires. Then surrender your list to Pathiel and trust that your prayers have been heard and will be answered. 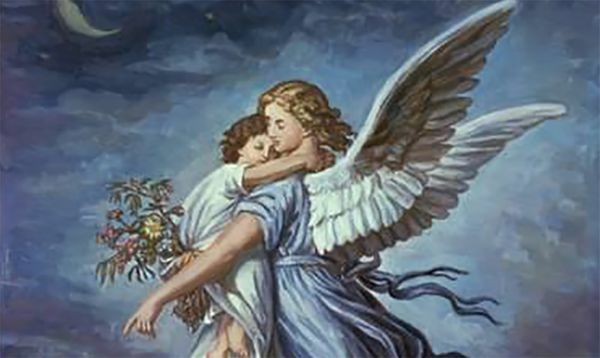 Invoke these angels one at a time or call on them as a team. You don’t necessarily have to remember their names; just pray to the angels of abundance and prosperity. Be honest in your prayers and ask for your needs and desires to be met. Understand that they want to help you and they already know you deserve to live a rich life. The question is, are you ready and willing to receive this for yourself? Take responsibility if you have any limiting beliefs or thoughts that contradict and may block what you desire. For example: Do you believe you are worthy of receiving what you asked for? Do you believe it’s possible? Believe it’s possible and pay attention to your dreams, intuition, signs, and synchronicities. When you team with the angels and follow these steps, you become a powerful magnet of attraction. You draw to yourself everything you need to manifest abundance and prosperity. Your wishes and desires are fulfilled and you begin to realize the power of teaming with your angels. Be open, and practice these steps so you can become one with the gifts of abundance and prosperity. 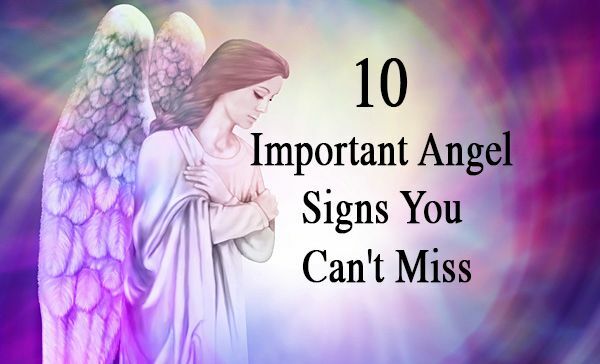 It’s all around you and the angels just want you to accept it for yourself. Archangels Raziel, Gadiel, Barakiel, Gamaliel, and Pathiel, please gather around me and support me in your unconditional love. Please help me believe and experience that God’s universe is abundant. I affirm that, as a child of God, I deserve financial freedom. I am open and willing to receive everything I need to pay all my bills on time, in full, and I have more than enough left over to put in savings and to enjoy the good things in life. Thank you, angels, for showing me the way and blessing me with the gift of financial freedom. Archangels Raziel, Gadiel, Barakiel, Gamaliel, and Pathiel, please open the gates of manifestation so prosperity can flow easily, consistently, and abundantly into my life. With your help, I joyously receive everything I need and I am especially grateful for the unexpected opportunities that come my way. I am happy, fulfilled, successful, and prosperous in everything I do. As I continue to receive good fortune in my life, I graciously share it with others who are in need. Taking time out of your busy schedule to meditate and pray with your angels about your desires for abundance and prosperity can be very valuable. It’s one thing to pray for your intentions, but it takes on a whole new energy when you sit in meditation with the angels. You raise the vibration of your desire with focused intention and visualization. Because of this valuable time spent in meditation, you become a magnet of attraction, drawing to you everything you need to fulfill your desires. Find a quiet place to sit, and if you choose, you can put some soft music on in the background. Write out your prayers to the angels. Share with them your desires for abundance and prosperity and be specific. Now, take a deep breath and let go of everything that happened before you closed your eyes. Then take another nice deep breath and let go of everything that is going to happen after your meditation. Now, breathe into the present moment where all transformation occurs. Know that God and the angels are blessing your desires. Your job is to trust and affirm that it is already done and it’s just a matter of timing. Thank the angels and take a deep breath. Affirm that you are open to your highest and best, better than you could ever imagine. After you open your eyes, you will still remain in the sacred circle where all your manifestations will transform from the spiritual plane into the physical plane. When you’re ready, open your eyes and come back into the present moment. Work with the angels of abundance and prosperity and be open to the miracles that are waiting for you. They feel blessed and honored to help you and they want to shower you with many blessings from the divine. Always remember that you are a child of God and you deserve the best. Just ask, believe, and expect to receive.